It could be one of the biggest decisions you make – to sell your business. The good thing is, once you’ve made the decision, you’ll still have plenty of time to get used to it because it’s not going to happen overnight. Baby boomers (those born 1946-1964) are rushing towards retirement and what better way to fund their retirement than by selling their business. Experts are expecting a surge of businesses on the market over the next few years. Getting your business to stand out among them could get increasingly more difficult, so it could pay to get in sooner rather than later. What does the buyer market look like? The new generation of business owners come with new skills and new expectations. They are more technologically savvy, very driven, and in touch with the market in different ways. They’ll be looking for a business that is performing well but could perform much better. What they are looking for more than anything is opportunity – for example, a business that has a strong product or service but could benefit from a different business model or marketing approach. Selling your business is a process not an event. It starts with preparing yourself and your business for sale, then there’s advertising, negotiating, contract signing, and finally handover (which can itself be a process within a process). The signing of the contract is just one small part of selling your business. This is why it’s important to plan, because it’s not going to happen straight away. 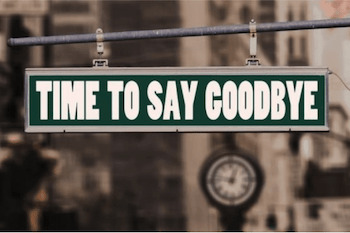 As a small business owner, your business is a big part of your life, and if you have built it up over many years, then there can be a lot of emotions when it comes time to say goodbye. Although this is natural, it’s important not to let them get in the way. You’ll need to maintain a poker face and stay objective in order to get a good sale – to the right person, at the right time and at the right price. A handover period is a great way to say goodbye slowly and give the new owner the benefit of your experience. It’s win-win. Just be careful not to hang on for too long, you could end up stifling your business’s growth. It can actually be quite an exciting time to take a back seat and watch your business take a new direction. Finally, you’ll need a plan as to how you are going to fill the hole in your life that your business will leave. Whether you fill it with another business opportunity, volunteering, more time with loved ones, more time for your hobbies or an overseas adventure, you’ll need a plan. It can be quite an adjustment and many people underestimate the impact it can have on their physical and mental health – you’ll still need a reason to get up in the morning.